Compound steam was a design that was meant to replace the simple expansion version, which had found widespread use since practically the start of the railroad industry. The idea behind it was to take spent steam from a high pressure cylinder and recycle it through a low pressure cylinder that would then offer a more efficient use of both steam and water. Unfortunately, most compounds fell out of favor in the United States as they proved to be too complicated to justify any potential advantages they may have offered. Only two Class I railroads found the design quite useful, the Norfolk & Western and Chesapeake & Ohio. 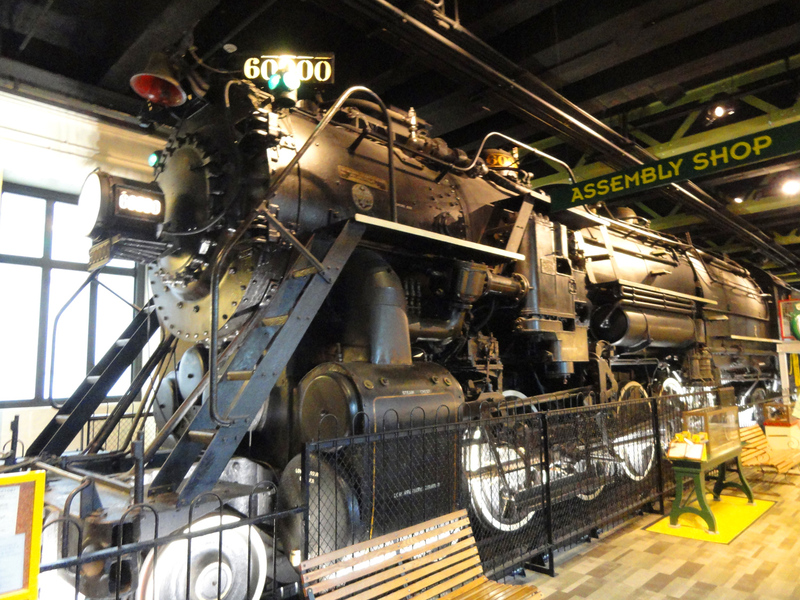 Instead, most lines opted to continue using easier-to-maintain simple expansion locomotives, particularly with the advent of the superheater during the early 20th century that essentially offered all of the advantages of the compound without the maintenance. The history of the compound steam locomotive is said to date back to James Samuel from Glasgow, Scotland who was a railroad engineer that patented such a design around 1850. The use and experimentation of compound steam in Europe grew throughout the 19th century. However, in the United States it was not widely accepted. The first, true use of compounding came with the development by Anatole Mallet (pronounced "Mal-lay"), of Switzerland, who designed an articulated version in France during the 1870s. Thanks to the articulation, which was designed so that the front set of drivers (and accompanying front truck, if utilized) swiveled independently on the frame (thus allowing the locomotive to negotiate curves more easily), American railroads picked up on the idea. 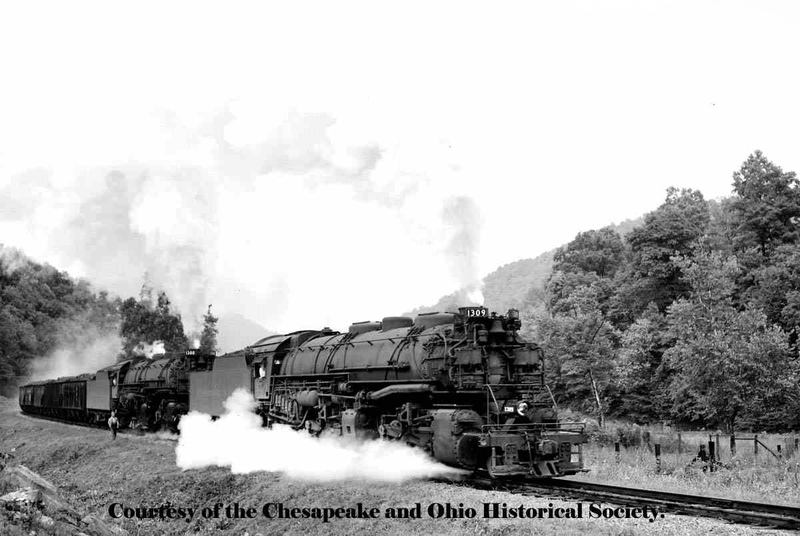 The first to utilize a true Mallet design was the Baltimore & Ohio, which worked with the American Locomotive Company (Alco) to come up with an 0-6-6-0 wheel arrangement in 1904, #2400, that became known as "Old Maude." The railroad hoped to use the big steamer in slow drag service over its main line through the Allegheny Mountains to tackle Sand Patch, Cranberry, and 17-Mile grades. The B&O listed it as Class DD-1 and she proved a relatively useful helper for more than thirty years until being scrapped in 1938. Interestingly, however, only two other Class I lines operated true, compound Mallets in regular freight service for many years; the aforementioned Norfolk & Western (which rostered a fleet of Class Y 2-8-8-2s) and Chesapeake & Ohio (which featured a fleet of Class H-6 2-6-6-2s). The issue with compound steam locomotives for American lines turned out to be their difficulty to properly maintain. When first developed the belief was that compounding offered better fuel economy by not only saving water but also more efficiently using the steam within the system. Additionally, it was meant to increased power. The design worked by having two high pressure cylinders (HP) first expand the steam entering the system; next, the spent steam (which was at a lower pressure and not as hot) would flow into one or more low pressure cylinders (LP) where it would be essentially recycled by extending the cycle. For a compound system to work correctly it must be properly balanced by precisely gauging the cylinder volume ratio of the high and low pressure cylinders. For many railroad maintenance departments, which experimented with true compounds, this task became not only tedious but it was also often difficult simply to work on the cylinders due to their placement within the frame. Conversely, with a simple-expansion locomotive the cylinders work in unison and expand the steam just once in any given cylinder. This type of setup does not attempt to, obviously, reuse the steam although it is much simpler and easier to maintain. Despite the design's issues both the N&W and C&O saw a practical use for true compound Mallets. For the N&W its first compounds included its Class Y-2 2-8-8-2 Mallet Consolidations built in 1918 and numbered 1700-1730. These came from a variety of builders, including the railroad's own legendary Roanoke shops (which could produce steam locomotives on par, if not better, than anything outshopped by Baldwin, Alco, or Lima). Used in heavy drag service the railroad was pleased with the locomotives and went on to roster classes of Y3s through Y6s, the latter of which from 1930 through 1942 were all built by Roanoke (and totaled more than 200 examples). The introduction of the steam locomotive superheater, first introduced in Europe during the late 19th century began appearing in the United States during the early 20th century. This device, which in basic terms reheats the steam generated by the boiler essentially performed the same function as a compound locomotive yet was much easier to maintain. As a result, it became widely used on American railroads and ended further development of compounds on most lines. 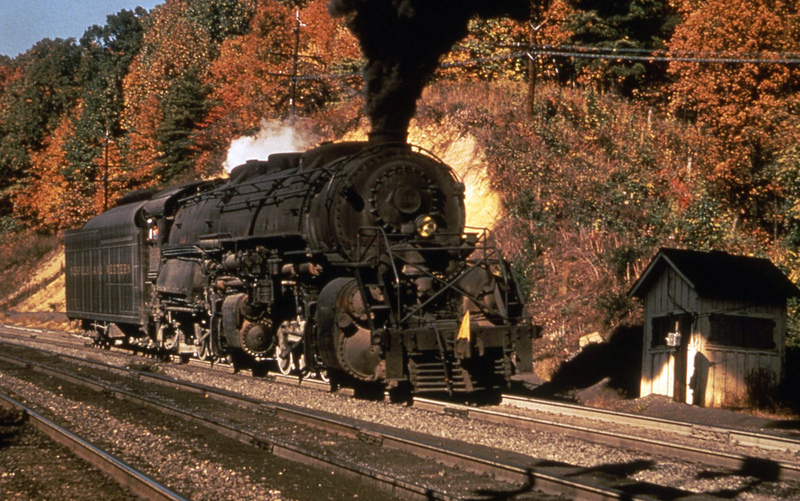 For instance, virtually all of the large wheel arrangements that were constructed during the 1930s and 1940s, such as the 4-6-6-4 Challenger, 4-8-8-4 Big Boy, and 2-8-8-4 Yellowstone were simple expansion locomotives and not true compound Mallets. 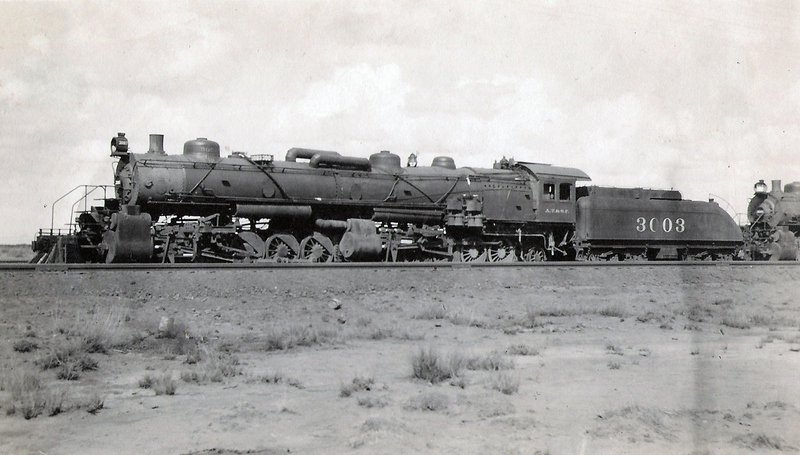 Outside of the N&W's fleet of Ys and the C&O's 2-6-6-2s, one of the last true compound designs manufactured was Baldwin's experimental 4-10-2 #60000 (for the builder's 60,000th locomotive constructed) of 1926. This steamer featured an odd three-cylinder design, uncommon on most railroads outside of the Union Pacific and Southern Pacific. It did test on several different railroads including the B&O, Erie, Pennsylvania, Burlington, Santa Fe, Great Northern, and the SP although it ultimately proved too complicated (through its compound setup and three cylinders) and too long for any railroad to consider serious interest in the locomotive. Today, #60000 is preserved at the Franklin Institute Science Museum in Philadelphia.